ATLANTA – Logility’s Voyager Pulse Wise is an autonomous engine that senses, analyzes and updates demand planning parameters in real-time to help ensure the supply chain operates at peak performance. Artificial intelligence (AI) analyzes future demand signals and actual performance to proactively react to changes that may impact forecast accuracy. 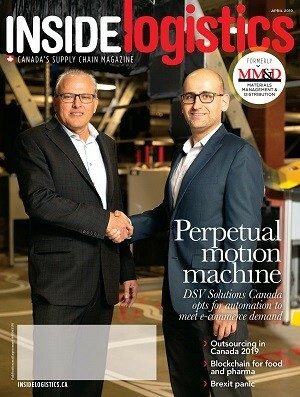 This innovative approach to creating a more precise supply chain plan has shown to increase forecast accuracy by 20 to 50 per cent. Voyager Pulse Wise is an AI-based solution that monitors forecast accuracy in real-time and adjusts the forecast parameters autonomously for each forecasted item to increase accuracy and help ensure supply chain peak performance. It continuously monitors supply chain performance as well as internal and external data sources to sense, analyze and adjust to market conditions to help companies stay ahead of potential disruptions, respond to spontaneous demand and take advantage of new opportunities. Voyager Pulse Wise is available on the Logility Voyager Solutions 1901 platform.